Sidor (Isidor) Ivanovich Vorobkevich (May 5 (17), 1836 – September 5 (18), 1903) – Ukrainian writer and composer. Sidor was born in Chernivtsi in the family of the teacher of the seminary. Very early, in 1840, his mother died, and in 1845 died his father. Little Sidor was brought up by his grandfather Mikhail Vorobkevich, a priest in Kitsman. In Kitsman he graduated from a 4-year elementary school (German!). In 1849 – 1856 he studied at the Chernivtsi Gymnasium, and in 1856 – 1860 (1861?) – in the theological seminary (Chernivtsi). After the graduating the seminary, Sidor was a priest in the villages Davydeny (1861 – 1865 years) and the Ruska Moldavica (1867 – 1867). From 1867 he constantly lived in Chernivtsi, where he taught chants in the seminary. After private studying music, he in 1868 passed examinations at the Vienna Conservatory and received a diploma of choirmaster and teacher of singing. 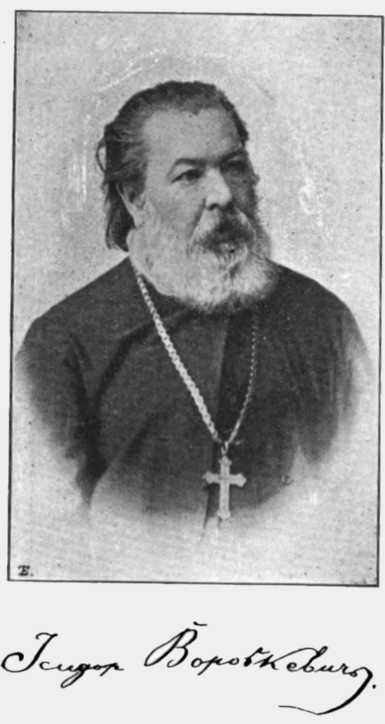 Since the opening of Chernivtsi University (1875), he taught chants at the Theological Faculty, where he worked until retirement for his health (1902). His services were marked by the provision of honorary titles Archpriest (1881) and Archpriest-Staurofor (Crusader, 1890. He hd been depicted with this cross in a photo published in 1901). Vorobkevich died in Chernivtsi, buried in a city cemetery. 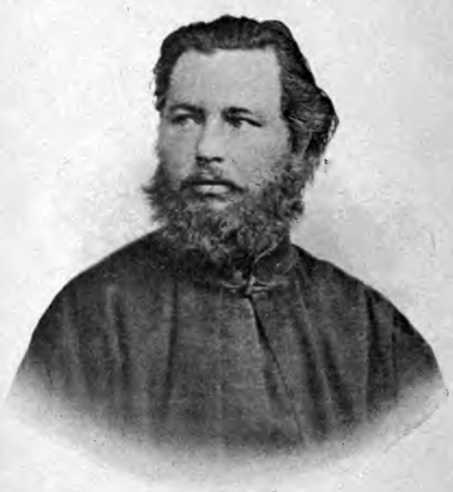 S. Vorobkevich’s literary work began in 1858, when he wrote his first poetry. From 1863 his poetry, most often signed by a pseudonym Danilo Mlaka, appeared on regular basis in periodicals of Galicia and Bukovina. According to Osip Makovej, his poetic heritage has more than 1000 verses and poems, of which 277 have been published today. The rest is not published, since O. Makovej did not consider these poems worthy of printing (it is not known how appropriate). S. Vorobkevich wrote also dramatic works. From 18 his plays only 6 (for the same reason) are printed. He also wrote prose works, 24 of them were printed, and some of them were lost in manuscripts. During his life S. Vorobkevich was published in a separate book only a collection of his chosen poems "Over the Prut" (1901), edited by Ivan Franko. In 1909 – 1921 in Lviv appeared the most complete collection of literary works Vorobkevich in 3 volumes, prepared by Osip Makovej. His literary works are marked by melodramatism and sentimentalism. The field of his observations is limited to his native Bukovina, the life of the peasants-Hutsuls, the clergy, the small gentry. A number of works are devoted to historical themes, where the author drew the Cossack past of Ukraine. S. Vorobkevich was the first Ukrainian professional musician and music teacher not only in Bukovina, but also throughout the Austro-Hungarian part of Ukraine. As a composer, he wrote music for songs on his own words and the words of other poets, music to his own plays-melodramas, and other works. He brought up a number of talented students who continued to deal with his teacher. He had prepared textbooks on music and songbooks for schools. Also S. Vorobkevich wrote sermons for the church, printed them with separate books. S. Vorobkevich’s multifaceted creative and social activities contributed to the national upsurge of Ukraine, established in Bukovina a sense of unity, belonging to the Ukrainian people. M. Zh., August 5-6, 2018.